So who would win a real-life battle between a ram and a spider? Surely the ram right? Unless the spider was super venomous and landed on the ram's head or something. 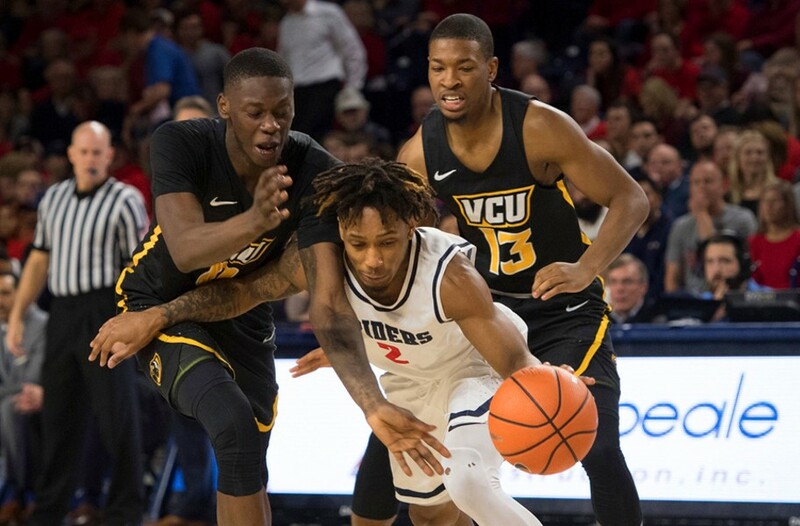 All we know is that, for years now, we've been loving the cross-city rivalry between the University of Richmond Spiders and Virginia Commonwealth University Rams basketball teams of the Atlantic 10 Conference. These have been intense games and VCU leads the series 51—30, though Richmond is on a two-game winning streak. Usually the match-up is billed as the West End private school (UR) versus the city's real team (VCU) — though that's unfair to the players, who come from all over. The problem now is the rivalry is taking a back seat to personnel setbacks with both teams. Since Coach Will Wade left VCU, it had to basically start over with recruiting. And UR has had an ongoing problem with players leaving or being dismissed — sadly, local De'Monte Buckingham is the latest. Right now, it's a race to see who can become a consistent A-10 force again and maybe make another tourney run. The battle for hoop-town supremacy continues. We also should never, ever forget that the greatest NBA enforcer of all-time, Charles Oakley, played at Virginia Union University.